Distant blue hills, soaring trees, vast cloudless skies-the majesty of nature has always had the power to lift the human spirit. For some it evokes a sense of timelessness and wonder. For others it reinforces religious convictions. And for many people today, it raises concerns for the welfare of the planet.During the Renaissance, artists from Italy to Flanders andEngland to Germany depicted nature in their religious art tointensify the spiritual experience of the viewer. 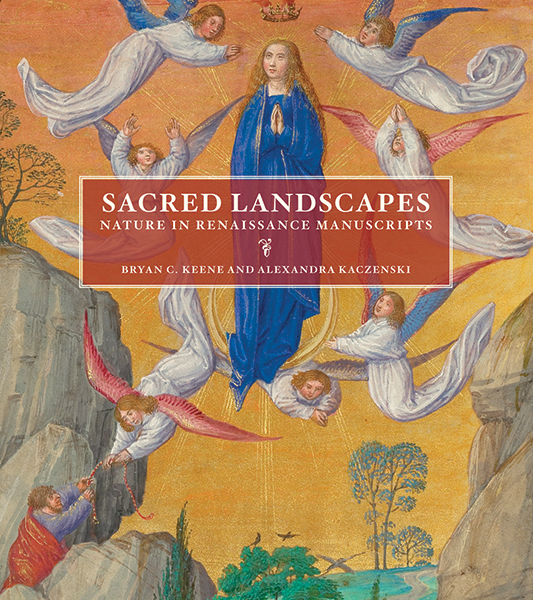 Devotionalmanuscripts for personal or communal use-from small-scale prayer books to massive choir books-were filled withsome of the most illusionistic nature studies of this period.Sacred Landscapes, which accompanies an exhibition at theJ. Paul Getty Museum, presents some of the mostimpressive examples of this art, gathering a wide range ofilluminated manuscripts made between 1400 and 1600, aswell as panel paintings, drawings, and decorative arts.Readers will see the influ-ence of such masters as AlbrechtDu rer, Jan van Eyck, Leonardo da Vinci, and Piero dellaFrancesca and will gain new appreciation for manuscriptilluminators like Simon Bening, Joris Hoefnagel, Vincent Raymond, and the Spitz Master. These artists were innovative in the early development of landscape painting and were revered through-out the early modern period. 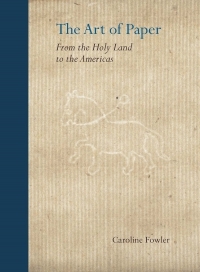 The authors provide thoughtful examination of works from the fifteenth through seventeenth centuries. Bryan C. Keene is assistant curator in the Department of Manuscripts at the J. Paul Getty Museum. 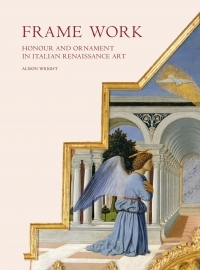 He is the author of Gardens of the Renaissance (Getty Publications, 2013) and a contributor to Florence at the Dawn of the Renaissance (Getty Publications, 2012). Alexandra Kaczenski is a former graduate intern in the Department of Manuscripts at the J. Paul Getty Museum. She completed an Andrew W. Mellon Fellowship at the University of California, Los Angeles, and specialized in Flemish manuscript illumination at the Courtauld Institute of Art.